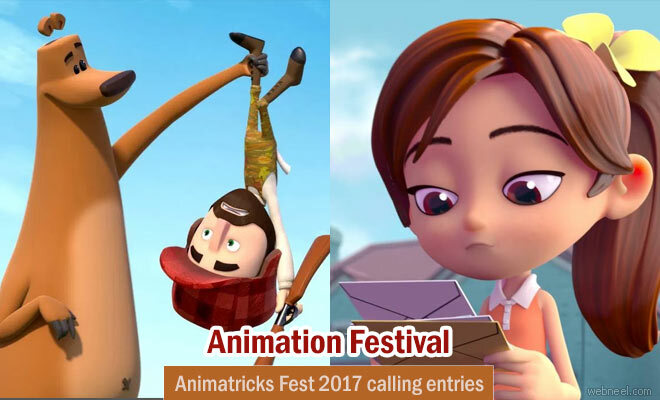 Finland's Animation Festival, Animatricks Fest welcomes all the artsist to submit their short film animation entries before January 31st 2017. This festival focuses only on animation and it starts on April 21st 2017 -April 23rd 2017 at Helsinki, Finland. All animation videos, music videos not exceeding 30 minutes and which have been taken after January 1st 2016 can be submitted. No previous entries from Animatricks will be considered. Atleast 70% of the short film should have animation. Educational and commercial material is not eligible. The selected films will be screened in the International Shorts Competition Category and the New Finnish Animated Shorts Category. The Festival’s pre-qualification jury will select the films for the screenings. RULES OF THE COMPETITION : Animatricks organizes the competition for animated shorts that will be screened in the International Shorts Competition Category and the New Finnish Animated Shorts Category. Animatricks is looking for films with unique storytelling, style and technique. AWARDS AND CATEGORIES : The Festival Jury will select one film from the International category to be awarded with the prize of 3000 euros(3304.65 $) and one from the Finnish category to be awarded with the prize of 1000 euros(1101.55 $). The award is given to the director of the film. The entries to the Finnish category will be automatically included in the pre-selection process for the International competition and award. - Industrial, educational or commercial films are not accepted. Also animated TV-series and their episodes, that are distributed or in production, are not accepted into the competition. The participation of pilots and such will be evaluated by the jury. For all films submitted, Animatricks requires a handling fee of 10 euros(11$) to be paid. You can pay the fee at https://holvi.com/shop/animatricks/ . Films that don't pay the fee are automatically removed from the competition. Fill the online entry form by the 31st of January 2017. Make sure that the link to your film doesn’t have an expiration date. Animatricks forms a pre-qualification jury that selects films for the competition. Preselection is made during February 2017 and the results will be announced to all participants. The participant has to deliver a preview copy as an online link in the entry form. No memory sticks, hard drives or DVDs for preview are accepted. The preferred screening copy format is DCP or a digital file. For other formats please contact festival (films@animatricks.net) after pre-selections. Audio Codec: Linear PCM, or AAC – 48000 Hz, Stereo. The screening copy must be delivered by 15.3.2017. The festival will decide on any cases of doubt, which have not been mentioned in these regulations. Participation in the festival implies recognition without reservation of the entry form and these regulations.